Welcome to the website of the Cornell Hotel Society Japan (CHSJ)! 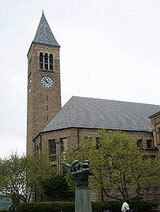 Cornell Hotel Society (CHS), the alumni association of the School of Hotel Administration at Cornell University, was formed by the very first graduates of the school in 1923 (which was called Cornell Society of Hotelmen at that time). Since then, it has been expanded internationally to network the alumni and to promote the fellowship. It is notable that the CHS is the most active alumni association of all Cornell alumni clubs and so as CHSJ in Japan. We also actively connect with Cornell Club of Japan, the biggest alumni association in Japan from all Cornell School, and join their events which enable us to communicate the alumni from different schools. CHSJ, the very first CHS club in Asia Pacific, started in 1961, under the leadership of Mr. Ichiro Inumaru’53, president emeritus of Imperial Hotel in Tokyo. Since then, numerous attracting events have been implemented every year. Finally, I would like to thank Mr. Seiji Tanaka, the CHS Kansai Chapter President for setting up this website.